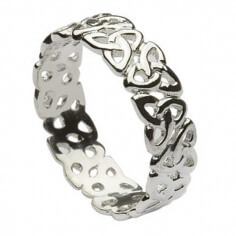 If you are of Celtic decent or just love the styles and symbols found in Celtic jewelry, you're sure to find the perfect Celtic knot ring with us. 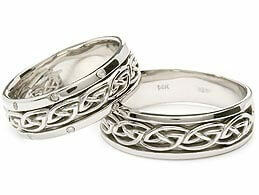 From the famous Celtic knots to the ancient Newgrange spirals, each ring depicts a piece of Celtic art and history. 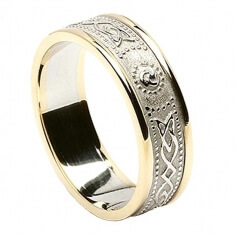 Whether your preference is sterling silver, 10k or 14K gold; Celtic Rings Ltd have many beautiful styles to choose from. 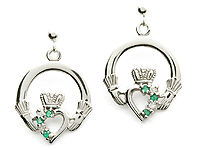 All handmade in Ireland and shipped worldwide. 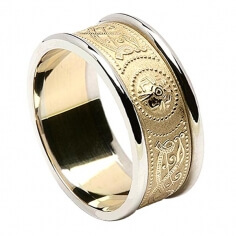 This unisex ring is a remarkable display of incredible craftsmanship. 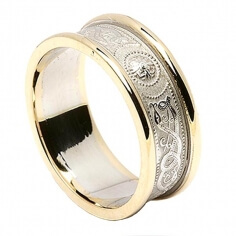 The band is comprised of intricate gold Newgrange spirals in a small pyramid set into the front of the 14 carat white gold band. 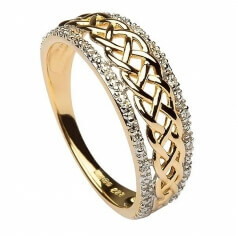 This beautifully timeless design features the traditional Celtic knot, favored by lovers for centuries because of its never-ending, intertwined design, and two shimmering channels of diamonds, the modern symbol of everlasting love, at the top and bottom of the band. 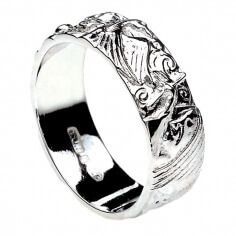 This intricate, detailed carved Sterling silver ring depicts the famous story of the Children of Lir. 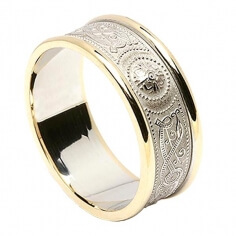 Handcrafted with great care and attention to detail, this unique ring is a treasure to behold. 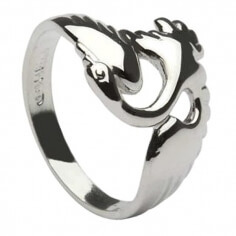 Let your free spirit fly with this beautiful swan ring formed from the finest Sterling silver. 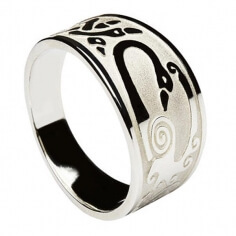 The swan represents one of the Children of Lir. 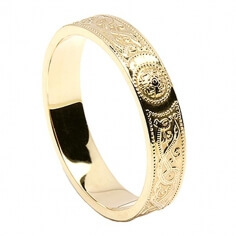 Relive the story by following the link below. 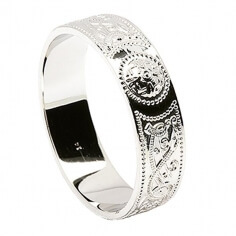 A large Sterling silver band with a brushed background and high polished finish on the engravings. 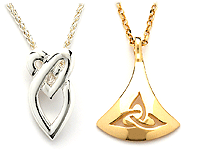 The engravings depict the swans from the Children of Lir. 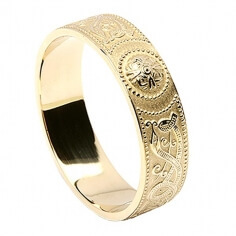 Modern in design, this ancient tale is brought to life. 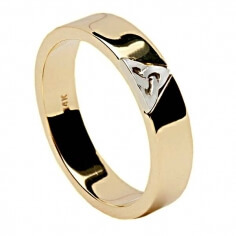 The unisex two tone Trinity ring is the perfect choice for couples wanting matching rings that carry a lot of meaning. 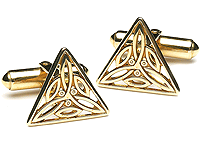 The Trinity knot is thought to represent the three Celtic goddesses, some also believe it represents the present, past and future. 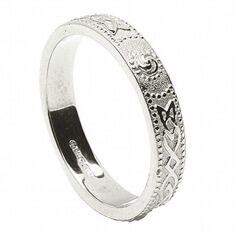 A cluster of Trinity knots come together to form this Sterling silver Trinity knot band. 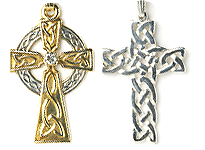 One of the most famous Celtic designs, the trinity knot was thought to represent the three Celtic goddesses. 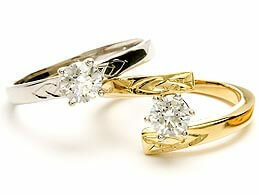 Is your wedding day approaching? 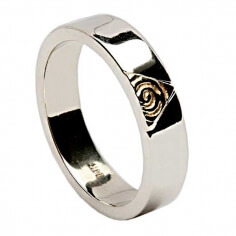 Or maybe you're looking to upgrade your current rings? 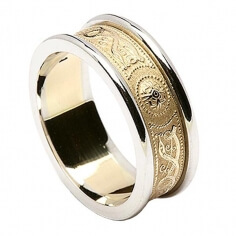 Our range of authentic Celtic wedding bands provide the perfect choice. 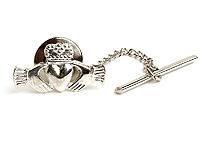 Handcrafted in Ireland and hallmarked by the Dublin Assay Office. 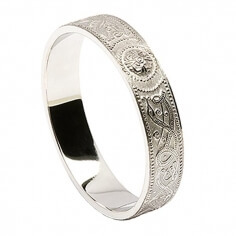 Add more meaning to the most important question you will ever ask. Pop the question with a unique Celtic engagement ring. Ancient Celtic symbols representing unity and love adorn each ring. 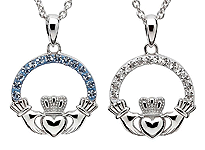 All diamonds are G.I.A. certified. Celtic shield rings, using ancient designs also found on warrior shields and the famous Ardagh Chalice. 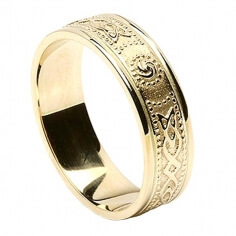 For that special wedding day, what could be better than an authentic Celtic ring? 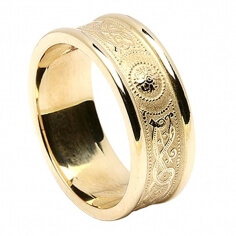 These wedding bands can be a beautiful statement of both love and heritage. Handcrafted in Ireland.